Billboard Magazine Albums Chart for the sales week ending September 18th and issue date October 1st has Lindsey's "Seeds We Sow" in week 2 dropping over 100 places from a debut last week at # 45 to # 149 this week. On the Top Current Albums Chart the album drops to # 132 from # 43 last week. Lindsey's album sold 3,513 units in the US last week down from 8,857 the previous week for a total thus far sold in the US of 12,496. Stevie's "In Your Dreams" moves up to # 161 after re-entering the chart last week at # 198. Also on the Top 200 Current Albums Chart in it's 18th week of release In Your Dreams moves up to #142 from # 157 last week. Stevie's album sold 3,305 units in the US last week up from 2,597 the previous week for a total this far in the US of 155,581. Both albums drop on the Top Rock Albums Chart, Seeds to # 44 and Dreams to # 49. Lindsey's Seeds We Sow remains on the Top Independent Chart at # 32. 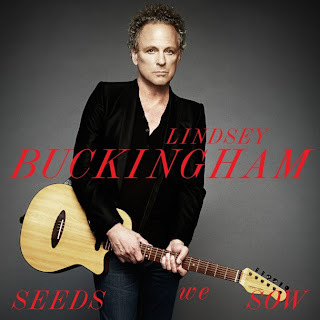 # 149 (45) Lindsey Buckingham "Seeds We Sow"
# 132 (43) Lindsey Buckingham "Seeds We Sow"
# 44 (06) Lindsey Buckingham "Seeds We Sow"
# 32 (05) Lindsey Buckingham "Seeds We Sow"
# 161 (198) Stevie Nicks "In Your Dreams"
# 142 (157) Stevie Nicks "In Your Dreams"
# 49 (44) Stevie Nicks "In Your Dreams"
Depending on what chart you look at, either Billboad.com or the charts to the right, Stevie's single "For What It's Worth debuts this week at either # 25 or # 26 on the Top 30 Adult Contemporary Charts.